After my dreaded junk drawer task yesterday, I am glad to have one today that is nice and easy! Today we are decluttering our bakeware. I just love baking – and I am raising my kids to love it too! My oldest child is quite the baker and he is always asking if he can make a cake or cookies. We have gluten allergies in our family (among others) so baking and cooking are always done from scratch. We love to make it a family thing and put some music on and make a big old mess! But I digress…. 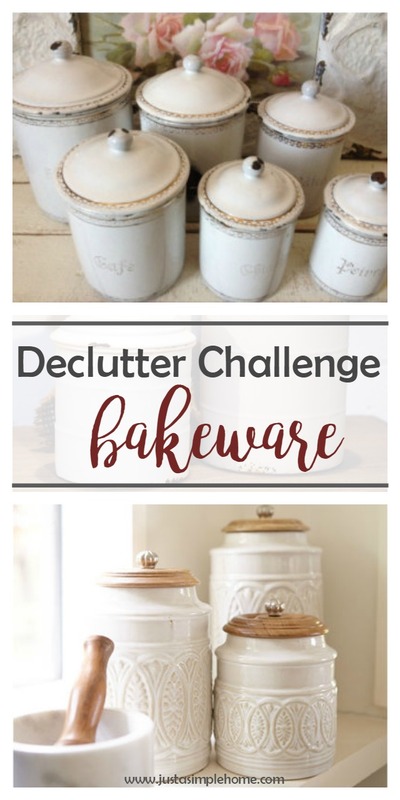 Take all bakeware out of cabinets and drawers. Throw out any broken items. Sort items by type and use. Organize them in ways that make sense according to use. Note here: I do keep my stand mixer on the kitchen counter, but I use it multiple times a week. If you have one, think about how often you use it and store it accordingly. Be sure to think about how often you bake, and make sure that that the amount of bakeware you have makes sense for the amount of baking you do. Do you really need 5 cookie sheets and 3 cake pans? Return items to cabinets or drawers in an organized fashion. Toss unwanted items, or donate them to a local thrift shop if appropriate. Consider selling any expensive items that may be valuable on Craigslist or Facebook. How is that for easy? Are you getting the hang of this decluttering thing yet? I hope it inspires you to have less in your home and think about whether or not you really need to bring something into it. Christmas Came Early For Me!